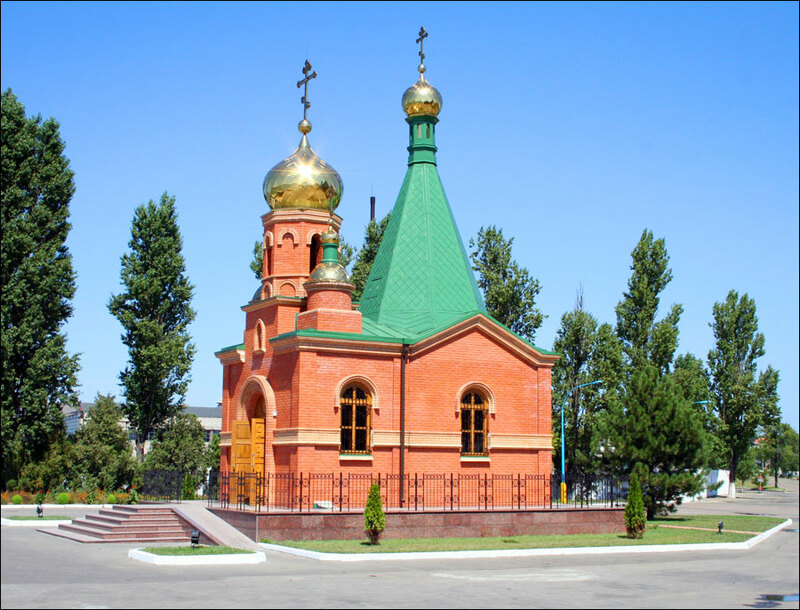 Izmail is the second largest city of the Odessa region located on the left bank of the Danube River, about 70 km from the Black Sea and 257 km south-west of Odessa. The population of Izmail is about 70,000 (2016), the area - 53 sq. km. The phone code - +380 4841, the postal codes - 68600-68633. Local time in Izmail city is April 21, 9:20 pm (+2 UTC). The Lower Danube was conquered by the Ottoman Empire in 1484. To defend this territory a number of fortresses were built or reconstructed. Izmail, founded in 1589, became one of these new fortresses. 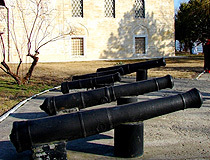 Izmail had an important military significance, as evidenced by the repeated sieges of this fortress during the Russian-Turkish wars of the 18th century. One of the main wars between the Russian and Ottoman empires was the war of 1768-1774. In 1770, Russian troops under the command of N.V. Repnin captured the fortress of Izmail. However, at the end of the war in 1774, according to the terms of the Treaty of Kuchuk-Kainarji, the fortress was returned to the Ottoman Empire. 13 years later, a new Russian-Turkish war began. In 1789, Repnin again tried to capture the town, but the assault ended in failure. In 1790, the reinforced fortress of Izmail, which was considered impregnable by that moment, was stormed and captured by Alexander Suvorov. In 1791, under the Treaty of Jassy, the town was again returned to the Ottoman Empire. In 1806, there was an unsuccessful siege of Izmail by Russian troops under the command of the Duke Richelieu. In 1807, the Russian General Ivan Mikhelson also unsuccessfully tried to capture the fortress. In 1809, it was finally taken by Russian troops commanded by General A.P. Zass. After the withdrawal (under the terms of surrender) of the Turkish garrison, only about 4,000 people remained in the town. According to the Treaty of Paris of 1856, which settled the Crimean War, Izmail was handed over by Russia to the Moldavian Principality, a vassal of the Ottoman Empire. The main engineering structures of the fortress were blown up, and the earthen ramparts were partially razed. In 1861, together with all of Moldova, it became part of the United Principality of Wallachia and Moldova (future Romania), which was considered a vassal of the Ottoman Empire. 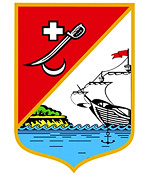 In 1877, Izmail was captured by the Russian troops for the fourth time (this time without a fight, since Romania did not fulfill its obligations to the Ottoman Empire and entered into a convention on the passage of troops with Russia). 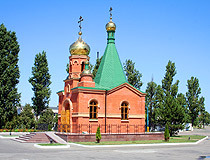 According to the Treaty of Berlin of 1878, Romania returned to Russia part of the Bessarabian territory including the town of Izmail, which Russia lost under the Treaty of Paris. 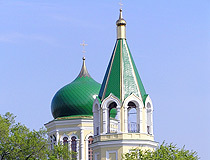 Izmail became part of the Bessarabian province as the center of the Izmail district. In 1897, about 22,000 people lived in this town. In 1918, Romania, taking advantage of the collapse of the Russian Empire, again occupied Bessarabia, which remained under its control until 1940. The Soviet government did not recognize this capture. In 1940, the USSR forced Romania to transfer Bessarabia and Northern Bukovina to the Ukrainian Soviet Socialist Republic. The Izmail region of the Ukrainian SSR was formed. From July 1941 to August 26, 1944, the city was occupied by German and Romanian troops, the Romanian administration returned. August 25-26, 1944, Soviet troops stormed Izmail and captured it. 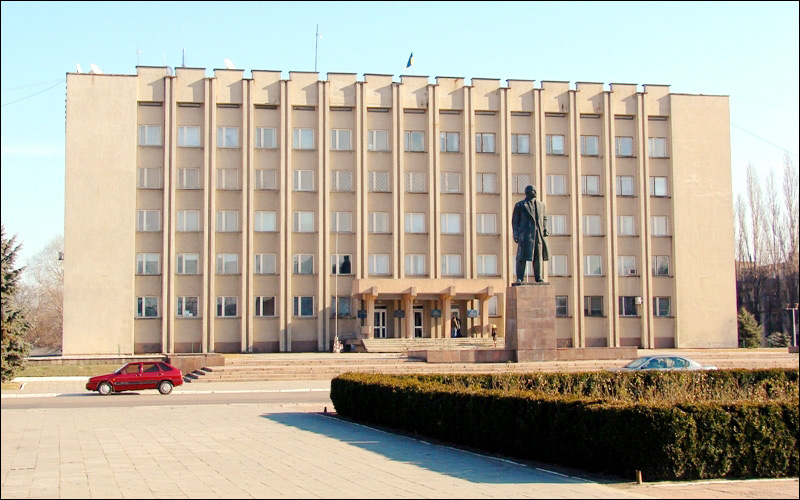 In 1946-1950, several new enterprises were opened in Izmail: a grain elevator, a confectionery factory, a bread factory. New schools and colleges were opened. 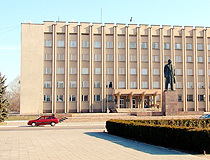 In 1952, the Pedagogical Institute of Izmail was opened, in 1954 - the Technical College of Mechanization and Electrification of Agriculture. 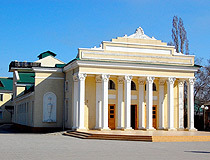 A drama theater and a regional philharmonic society were established. 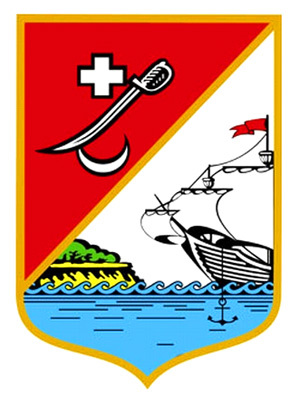 In 1954, the Izmail region was abolished. All its districts became parts of the Odessa region. The development of the city continued - a cannery, a winery, and a meat factory were built. In the 1960s, the Izmail pulp mill, auto enterprises, and an airport were put into operation. In the postwar years, the area of Izmail almost doubled. The growing crisis in the USSR, which deepened in the 1980s, did not bypass Izmail. The city experienced a decline in production, a decrease in labor productivity, and a decrease in household income. However, after Ukraine became independent on August 24, 1991, new opportunities and prospects for the population of the region and the city arised. New educational institutions were opened, the pedagogical institute received the status of a humanitarian university, the network of shops and firms expanded. Today, Izmail is becoming an increasingly popular tourist destination. Izmail, surrounded by numerous lakes, stretches for 13 km along the Danube River. Not far from it, on the territory of Romania, there is a well-known the Danube Delta Biosphere Reserve. 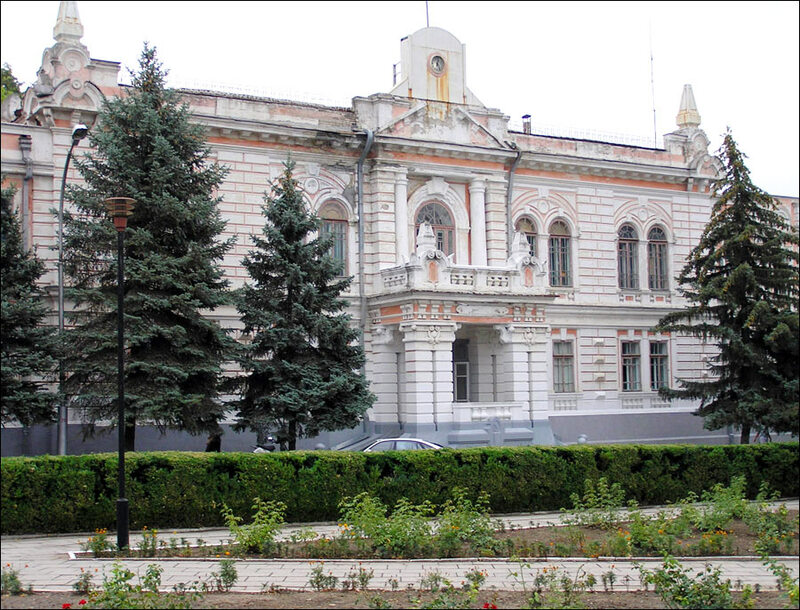 Izmail is included in the list of historical settlements of the Odessa region. The city is located in the southern zone of temperate climate with hot, dry summers and moderately cold winters. The warmest month is July with the average temperature of plus 22.6 degree Celsius, the coldest month is January - minus 1.5 degrees Celsius. It is the largest Ukrainian port on the Danube River. It has a developed food industry. Also there is a fish factory, a ship-repair and mechanical plant, a ship-repair plant, a plant for concrete products, a pulp-and-cardboard mill. The geographical location between the mouths of the Danube, the Dniester and the Black Sea of the whole region and the city in particular significantly complicates transport communication with the rest of Ukraine. Izmail is the last station on the railway line, which runs from Odessa to the south of the region. There is a daily train running from Izmail to Kyiv. It is interesting that the only way to get to Odessa and other cities of Ukraine from Izmail by land is by transit through Moldova. The city has more than 25 bus routes, several taxi services, 19 parks and squares. The City Day of Izmail is celebrated in late September - early October. Izmail Fortress - the remains of the buildings of the Turkish fortress of Izmail preserved on the high bank of the Danube River in the western part of the present city. Today, you can see fragments of earthen ramparts and a defensive ditch with a depth of up to 11 m.
In 1991, the Izmail Memorial Park-Museum “Fortress” was created, which staff conduct tours of the fortress. 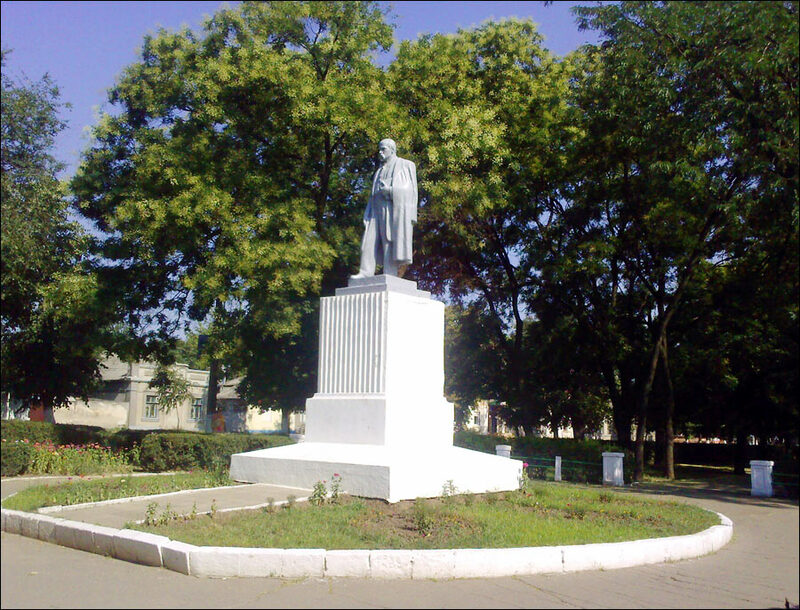 The administration of the park and the exposition about the history of Izmail Fortress are located in the center of the city (Suvorov Avenue, 51). 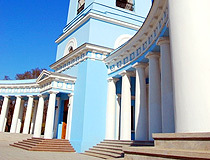 Intercession Cathedral (1820-1831). 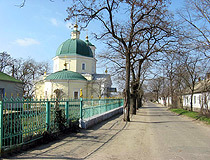 This cathedral built in the style of classicism is the main church of Izmail. 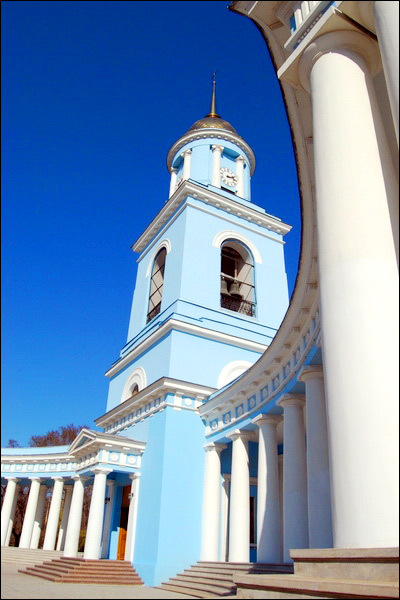 The height of the three-tiered bell tower (1848) is 65 meters. The bells were cast from metal of captured Turkish guns. The oval colonnade of the cathedral was built in 1937. 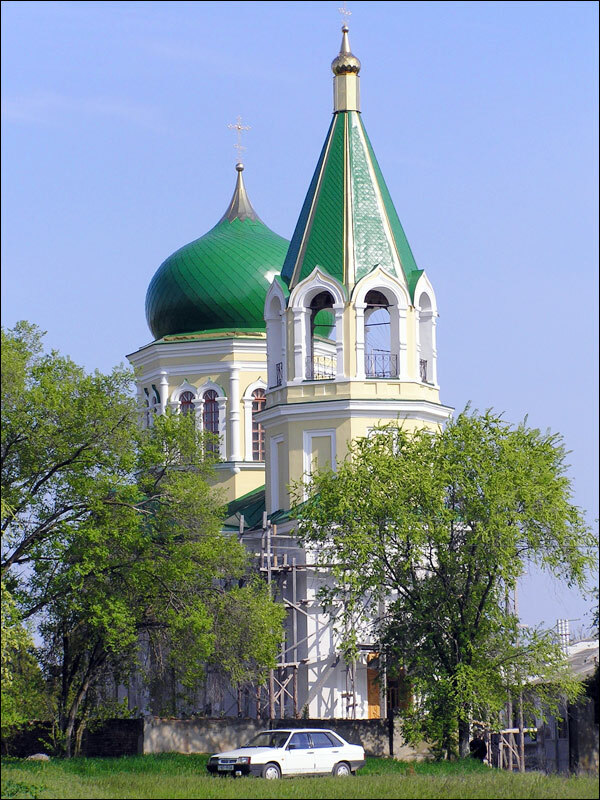 As a result, the Intercession Cathedral in Izmail vaguely resembles the Kazan Cathedral of St. Petersburg. 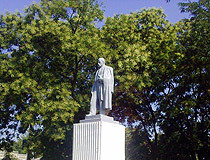 Suvorov Avenue, 31. Suvorov Monument - an equestrian monument to the famous commander Alexander Suvorov installed on the central avenue of Izmail (Suvorov Avenue) near the Intercession Cathedral. 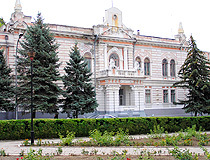 Izmail Art Gallery has a collection of modern Ukrainian and Russian art, an exposition of decorative and applied art, sections of Ukrainian, Russian and Western European art of the 16th-19th centuries, works of icon painting, art of the peoples of the East. Shkilna Street, 59. 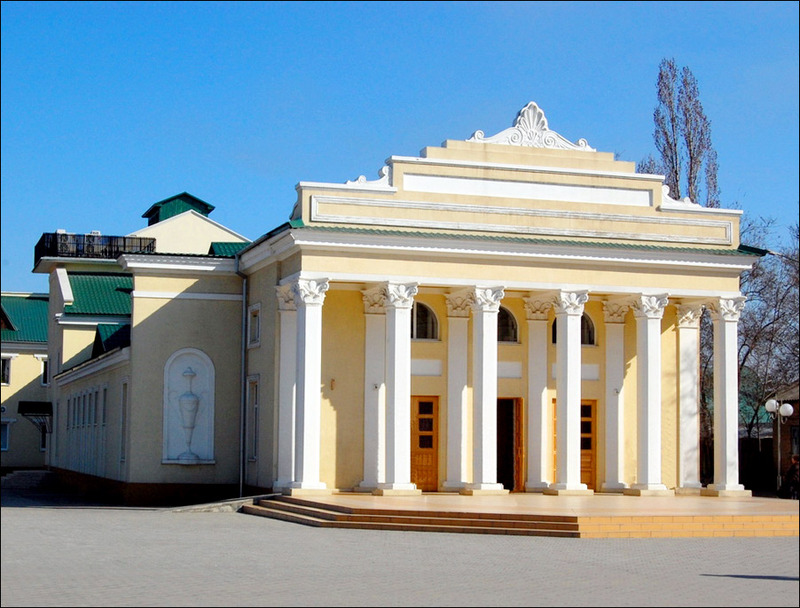 Izmail Historical Museum of Alexander Suvorov is housed in a mansion of the 19th century. The museum collection includes more than 30 thousand exhibits: banners, military uniforms and equipment of the 17th-20th centuries, a collection of weapons and firearms, paintings on the theme of the Russian-Turkish wars, archeology and everyday life items, numismatics. Pushkin Street, 37. Opening hours: 09:00-17:00. Day off: Tuesday. 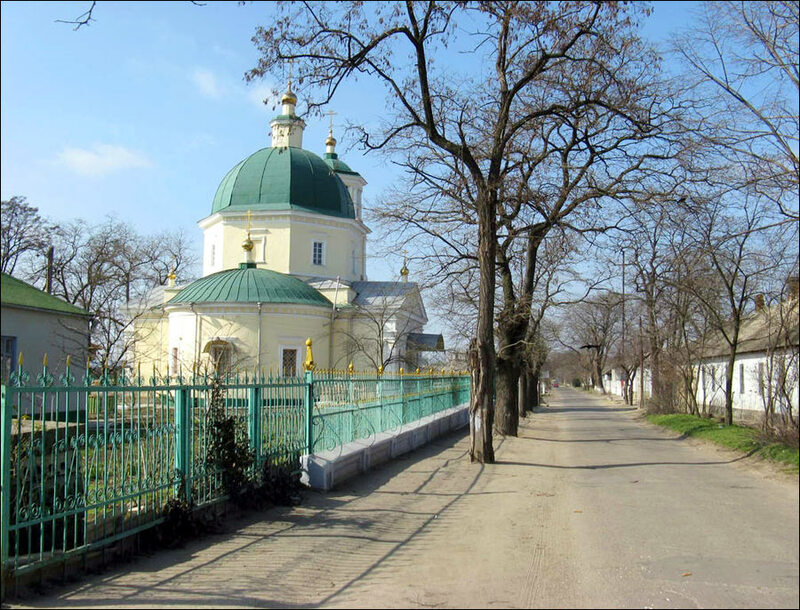 The Small Mosque (the Diorama) - the oldest architectural monument of Izmail built in the 16th century, one of the few examples of medieval Ottoman classical architecture in Ukraine. 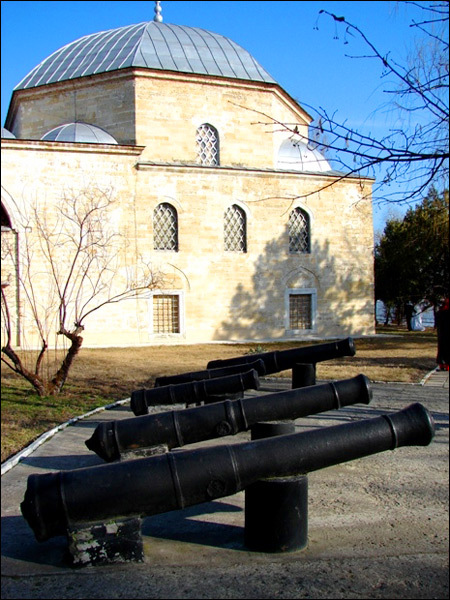 Inside the mosque, there is a museum with the diorama “Storming the Fortress of Izmail” - a large 20x8 meters painting showing the decisive moment of the assault. Krepostnaya Street, 1a. 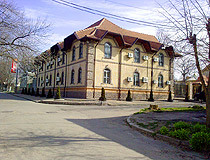 The Museum of A.V. Suvorov and the Diorama are included in the tourist routes of the south of Ukraine and the Odessa region. 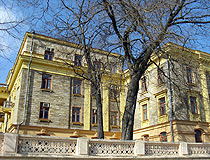 Izmail Museum of Danube Regional History. 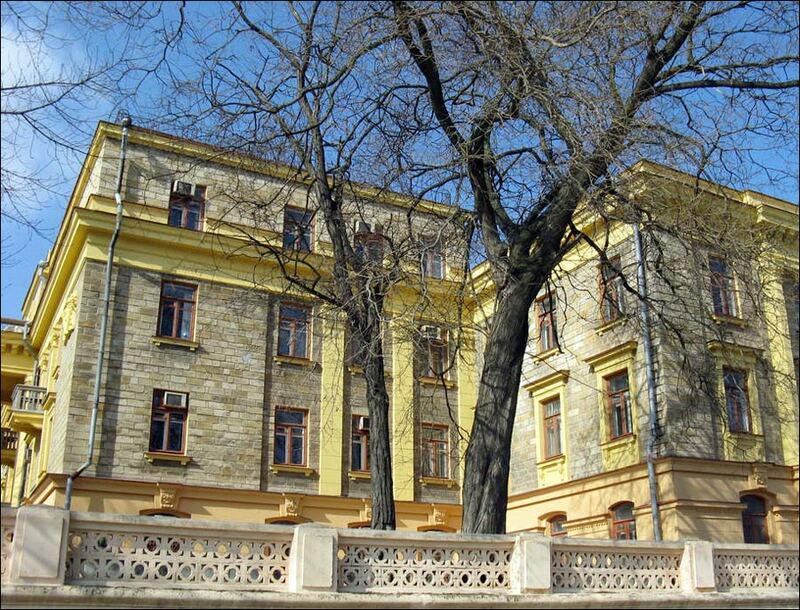 The museum is located in the center of Izmail, in an old two-story mansion of the late 19th century. Today, the following expositions are open to visitors: Ancient History and Archeology of the Danube Region, Turkish Izmail, World War I in Memory of Izmail, Hall of Military Glory. There is also a nature pavilion. In total, there are about 39 thousand exhibits characterizing the city and the region at different times. Tulchianivska Street, 51. Opening hours: 09:00-17:00. 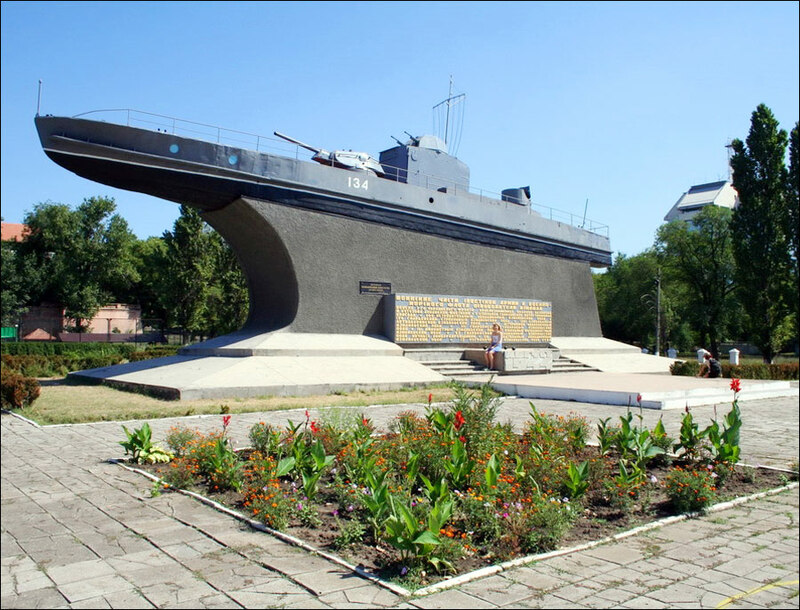 Museum of History of Ukrainian Danube Shipping Company. This museum can be found in a spacious hall of the highest building of Izmail housing the management of the shipping company. Archaeological materials in combination with documentary sources give an idea of the Greek, Roman, Byzantine, Slavic, Turkish, and Russian periods of navigation on the Danube River. Parokhodna Street, 28. Opening hours: 08:30-16:30. Days off: Saturday, Sunday. I miss my city my small little town Izmail. It is the best that you will never find anything similar anywhere else. The history of our town Izmail is known to everyone who lives in it and every person whoever lived there values it. We live it, lived it and I will carry it as a treasure in my heart forever! To whom it may concern. Your city is beautiful beyond belief. A city with this much history and the turmoil is has gone thru since the 1770's is amazing. This is where history becomes reality for everyone today. We need to learn from the past to live in the present. I love the city and all of its beautiful surroundings. The people have to be as beautiful as the city. Only in the small alive towns like Izmail can a person truly feel, learn and understand the culture of its people.